Colin Corke is the Vicar at St John the Baptist Church in Longbridge. At the time of the closure of the factory Colin was its chaplain. He is also the co-author of 'Making Cars at Longbridge', a book that documents the factory's history. Colin has helped support LPAP at a number of levels from being part of the Steering Group to supporting artists with their research. 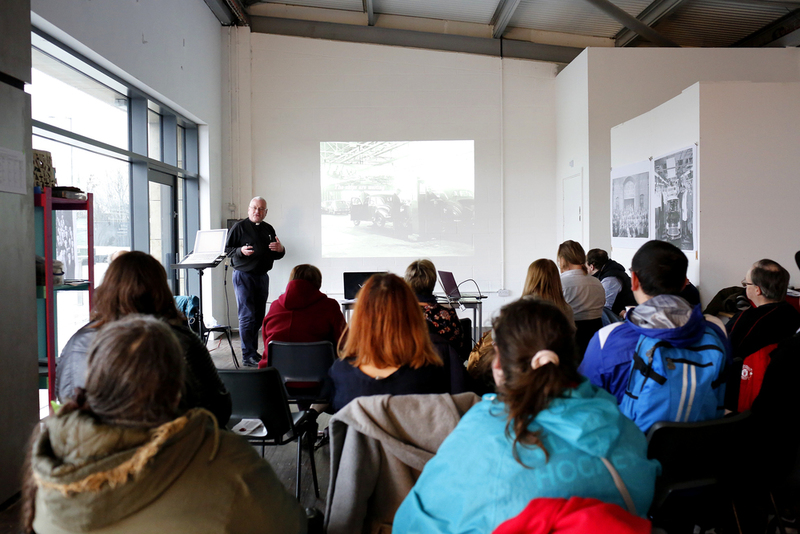 He spoke at 'Manufacturing Longbridge', an event created by Birmingham City University students that explored the various cars, planes and bullets that were produced at Longbridge. The LPAP team are extremely grateful for Colin's ongoing support and advice.